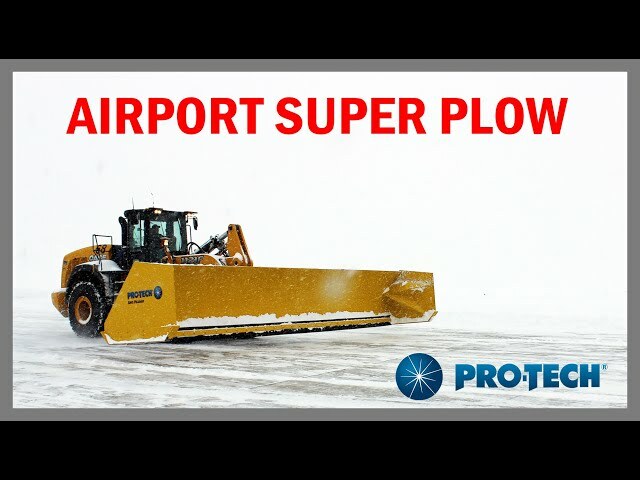 How big can an airport snow plow get? 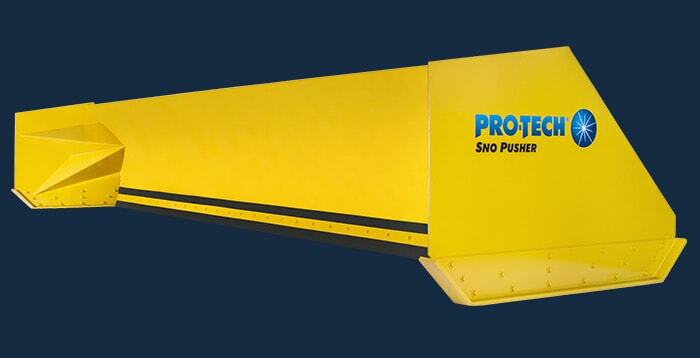 Pro-Tech’s Super Duty Sno Pusher is the answer to that question. 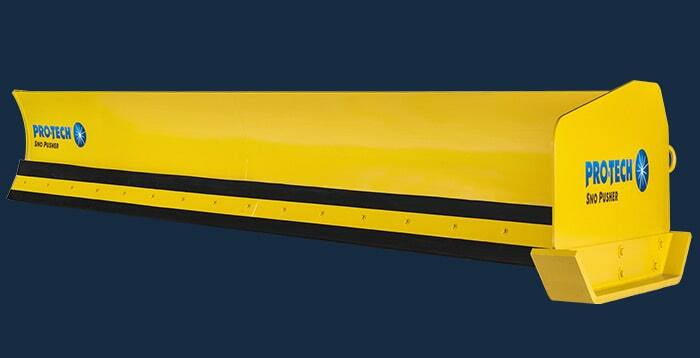 Perfect for airports, distribution centers, and other large properties, this snow plow can clear up to 57 yards of snow in one pass. 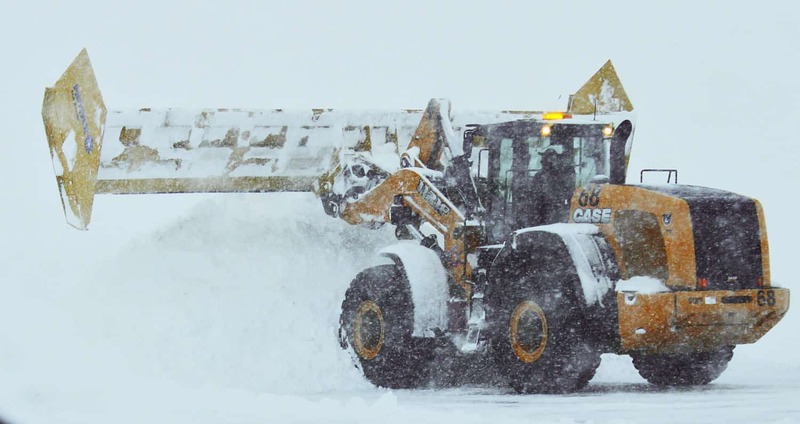 Big properties demand big snow clearing capabilities and the Super Duty Sno Pusher delivers. Everything on the Super Duty is bigger; the height, the width, the containment, the rubber plowing edge, and the additional bracing. 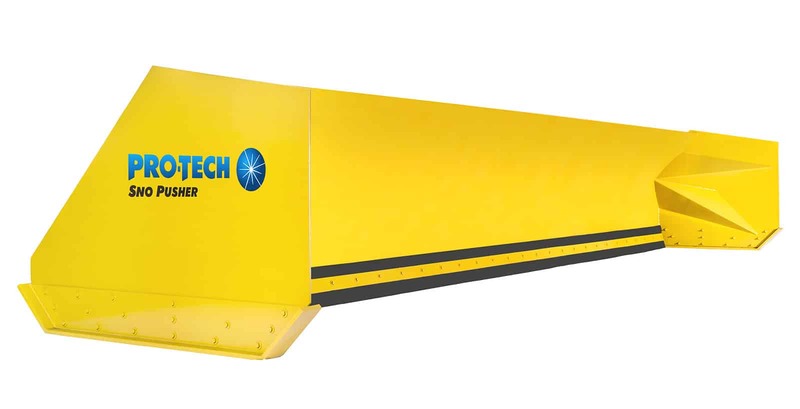 Currently in use at some very well-known locations across North America, has helped to keep many flights and deliveries on time. 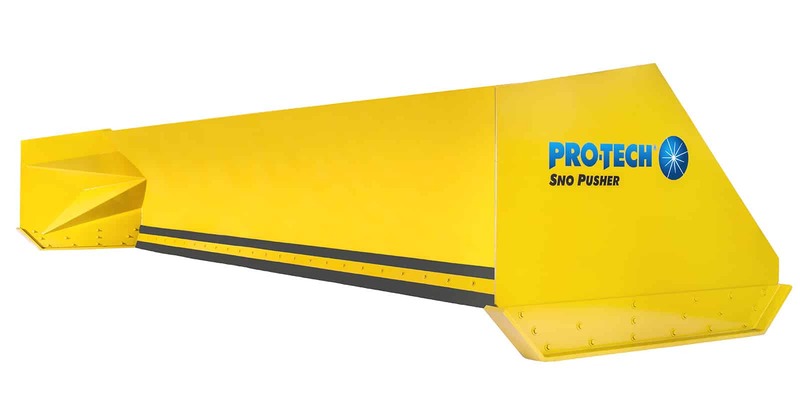 The Super Duty Sno Pusher also finds use in non-snow applications such as moving grain, wastewater, aggregate, and more. 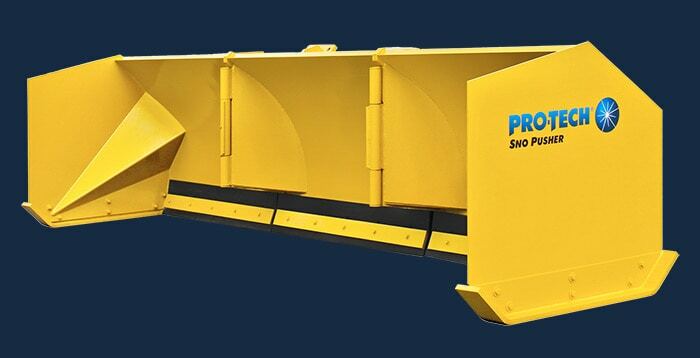 The Super Duty Sno Pusher comes in sizes ranging from 10’ to 30’ and is available for loaders. 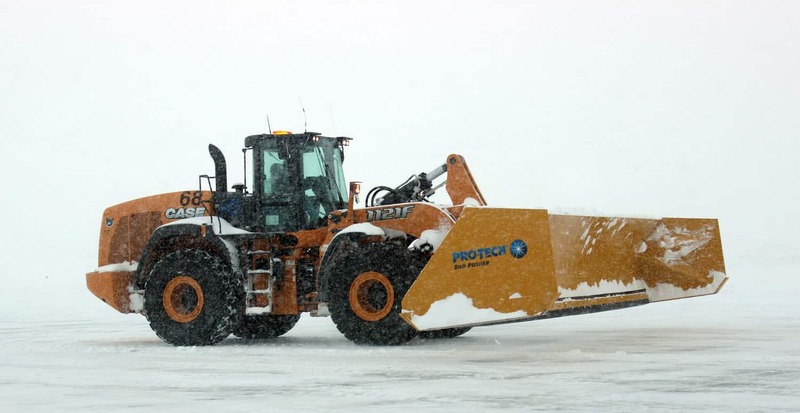 Ever see a 300 hp wheel loader with a 30’ snow pusher on the front help a 747 taxi onto the runway? It’s a pretty impressive sight. 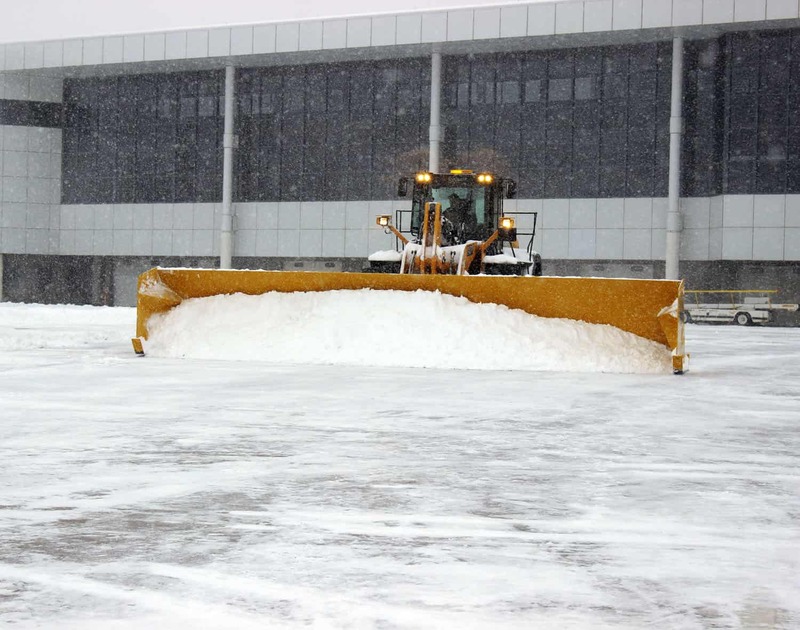 An airport snow plow and those found at distribution centers are often large, but many people don’t realize the critical role they play in everyday life. When a winter storm hits, airplanes still need to get to where they are going, delivery trucks still need to make their deliveries. 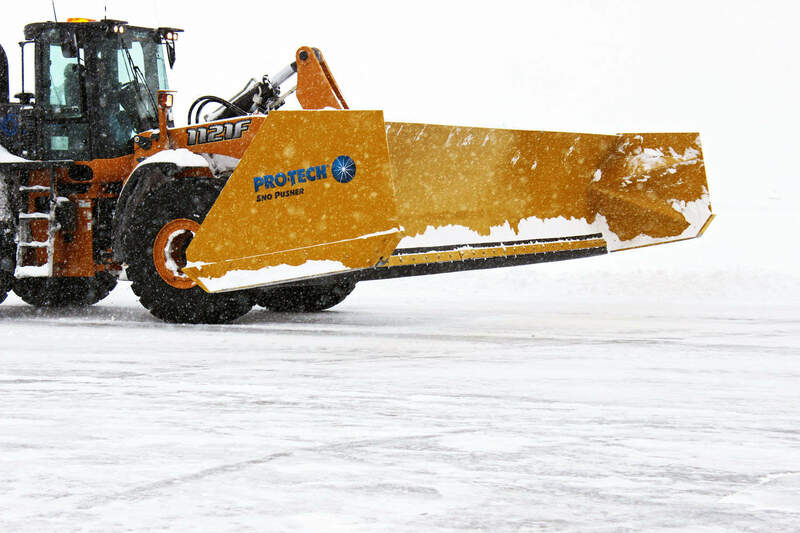 The Super Duty Sno Pusher paired with a heavy duty loader is a perfect match for clearing massive properties. The size paired with Pro-Tech’s reputation for durability is a combination you can trust to hold up to winter’s worst. 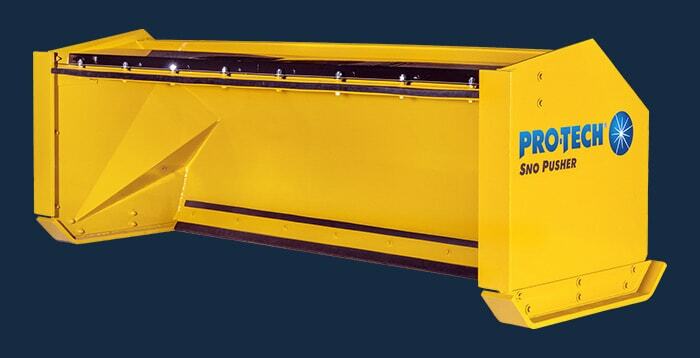 The Super Duty Sno Pusher is a loader snow pusher of incredible size. It stands 5 feet tall,and can weight up to 4 tons. 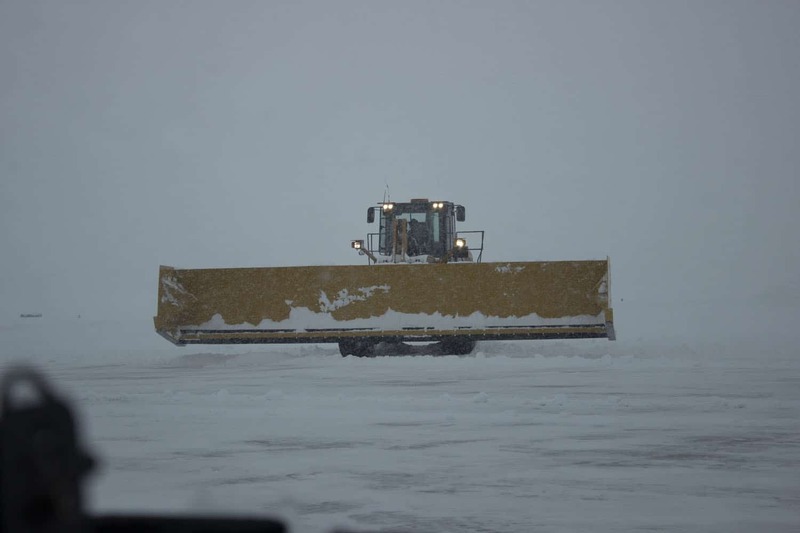 The plow can also contain up to 57 yards of snow. 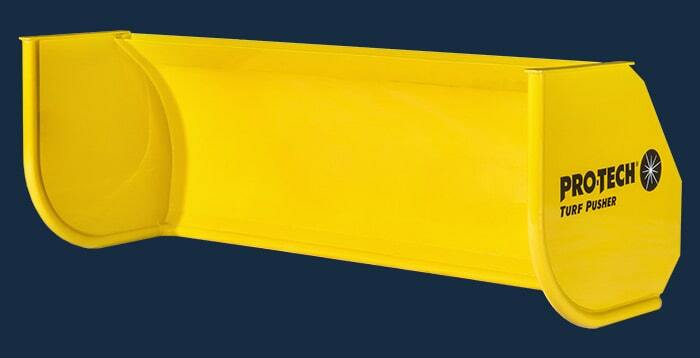 High quality, extruded rubber is still used for the cutting edge. 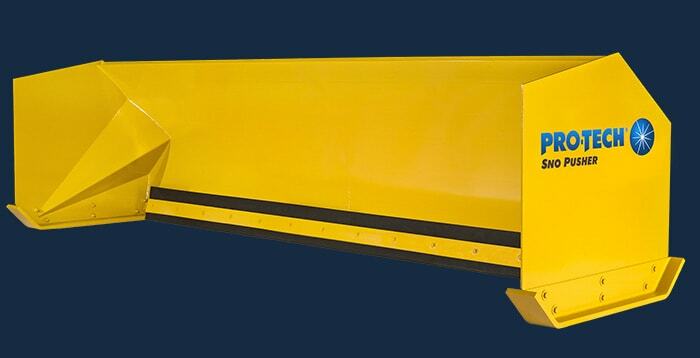 However, the dimensions are bigger (2” x 12”) than a standard edge for a loader snow pusher (1.5” x 10”). 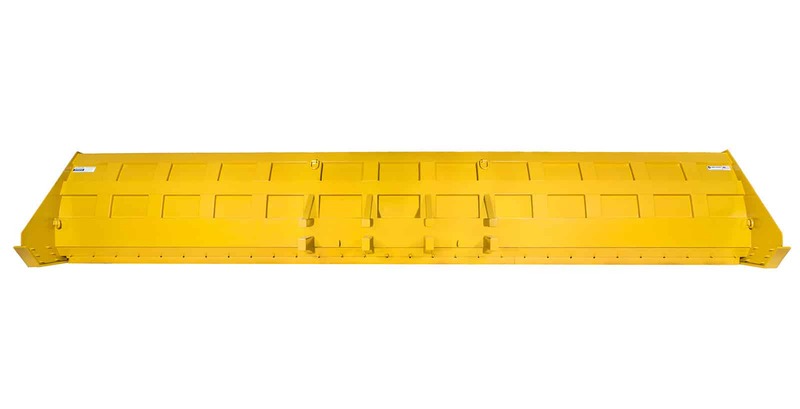 The chassis of the Super Duty Sno Pusher uses additional reinforcements through bracing that can withstands the extra forces of a large machine. The wear shoes use the same bullet-proof material used in armored vehicles. 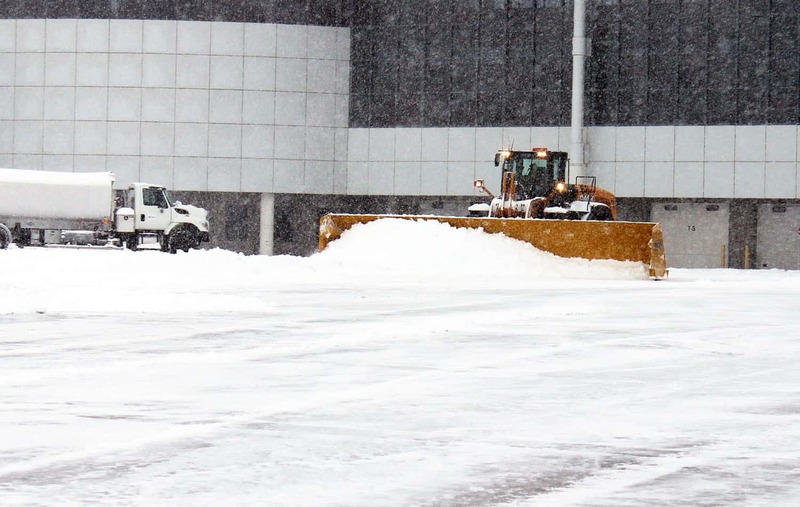 Snow pushers can be used for a variety of applications outside of snow removal. 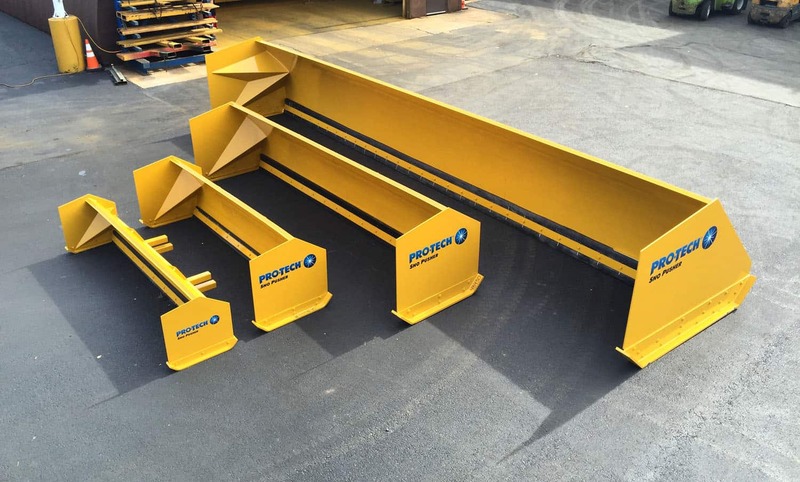 Looking to re purpose large construction or mining wheel loaders? Customers can use the Super Duty Snow Pusher for applications outside of snow such as waste water, silage, and aggregate management. "We have used Pro-Tech for over five years. 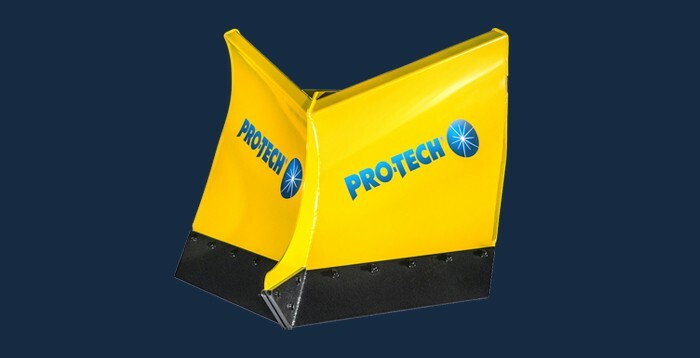 We have over 50 Pro-Tech Sno Pushers. 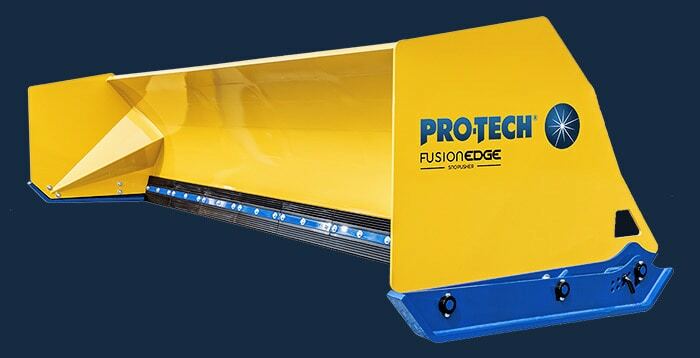 What differentiates Pro-Tech from the competition are a number of things, one of them being the quality of the product, and also customer service. I could go buy a pusher from anybody but I know if I make one phone call whatever my needs are, we’ll get taken care of." 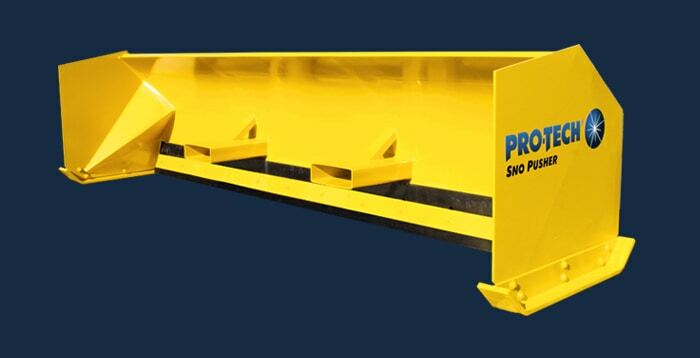 "We purchased our first group of pushers in 1995 and have continued to purchase them to this date. We are probably somewhere in the range of 70-80 Sno Pushers. It’s all about efficiency and the efficiency that you get from a Pro-Tech containment plow is enormous. 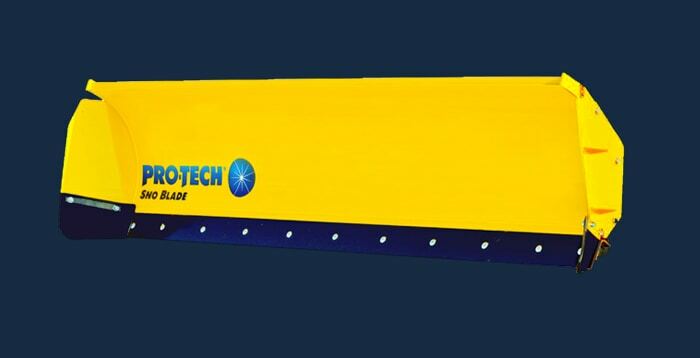 With Pro-Tech you have support and the quality of the Pro-Tech." "I bought my first one (Sno Pusher) 12 years ago when I was working at another mountain. It’s still in use." 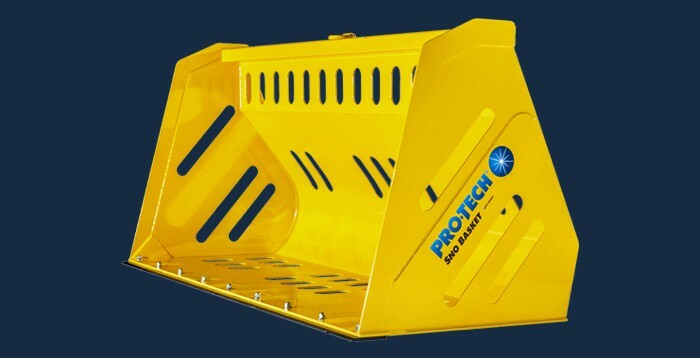 "Thank you Pro-Tech for your professionalism, prompt accommodating service, superior product and commitment to 100% total customer satisfaction! 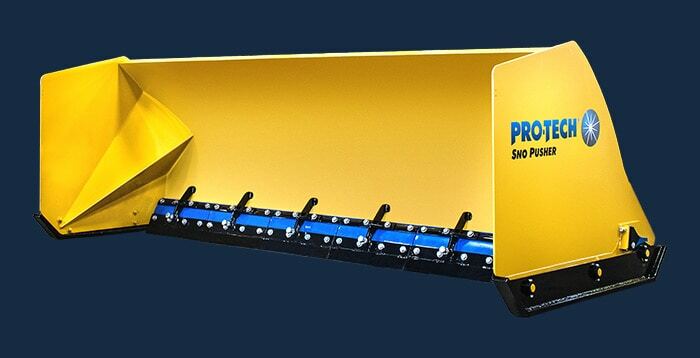 There is no wonder why you are the leader in the snow pusher industry." 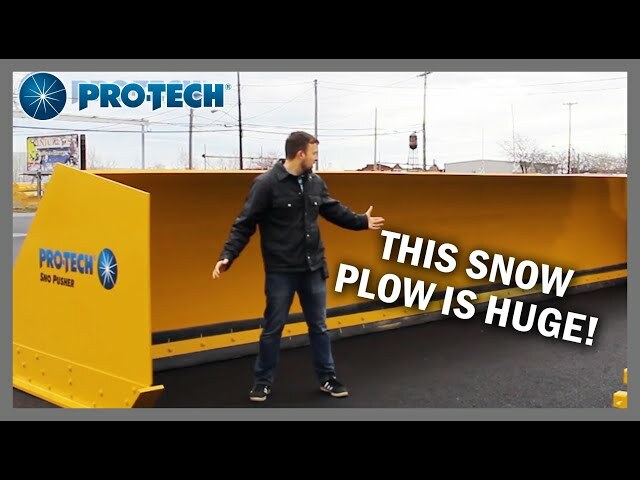 Pro-Tech’s President Michael Guggino discusses the rubber cutting edge on our Sno Pushers and why they are the best in the industry.